BRIDTV, LLC announced today BridTV AMP enabled embed code that you can use for insertion into your AMP HTML pages. Stay one step ahead of the competition with a support for a standard which will dramatically improve the loading of web pages on mobile devices. With media consumption changing rapidly, our mobile team has been hard at work the past couple of months building the top developer requested features for our player. In case you are not familiar with Google Accelerated Mobile Pages (AMP) project, it is enough to know it aims to dramatically improve the performance of the mobile web and it's backed by many publishers and digital industry giants. For instructions on how to use the Brid AMP Component in your AMP pages, check out this page: here. 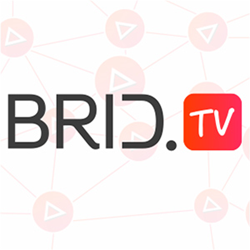 BRIDTV, LLC owns and operates Brid.tv, an enterprise-level free online video platform and player solution. With the online world moving in the direction of HTML5, we offer webmasters a robust and feature-rich turn-key solution to post their videos online. Pre-rolls, interactive HTML5 ads, latest mobile and desktop streaming formats, WordPress support, all for free!